Welcome to Maggie Valley! 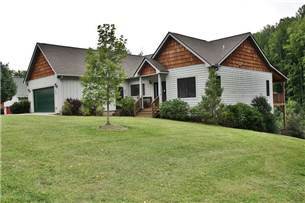 Woodhaven is a 5 bedroom, 3 Bath cabin. Welcome to Maggie Valley! 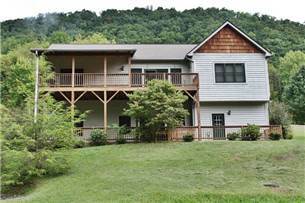 Woodhaven is a 5 bedroom, 3 Bath cabin conveniently located in a small neighborhood between Maggie Valley and Lake Junaluska in Wesern North Carolina. A spacious cabin, designed for the entire family. 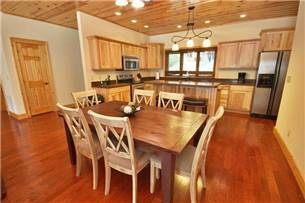 Walk directly from a paved parking area (or the garage) into the great room. 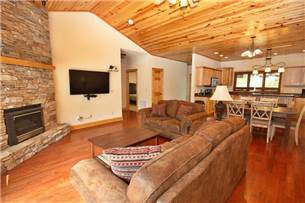 The great room is complete with a large flat screen tv and open floor plan. 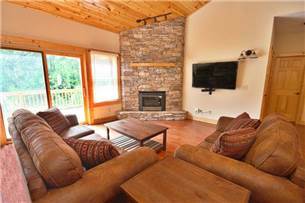 Spend your evenings watching your favorite TV shows or sitting by the gas log fireplace. The main living room flows directly into a dining area and kitchen. 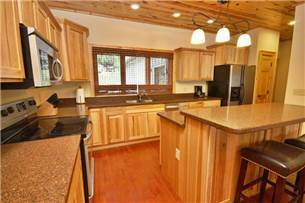 New stainless steel appliances will make cooking those large meals a cinch. 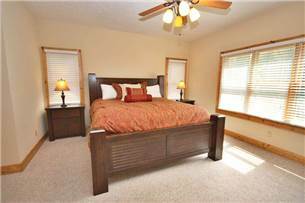 The spacious master bedroom and bathroom are located on the main level off of the living room. Soak in the jetted tub and get a good nights sleep in the King size bed. 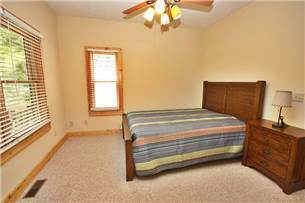 2 additional bedrooms and a shared hall bathroom are located on the main level. 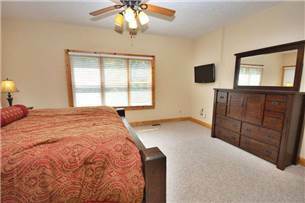 Walk downstairs to a large den with comfortable seating, satellite tv and a kitchenette. 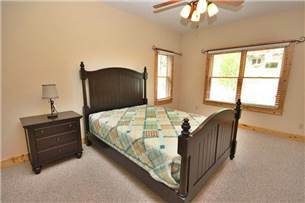 2 additional bedrooms and a shared hall bath are located off of the den. Step outside onto the patio and enjoy the newly installed 4 person hot tub. 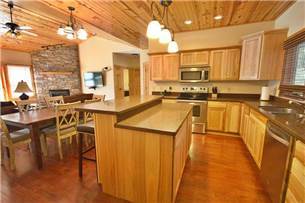 Woodhaven is located just minutes to shopping in downtown Waynesville, snow skiing in Maggie Valley, elk viewing and hiking in Cataloochee (GSMNP), and lots of other local activities.